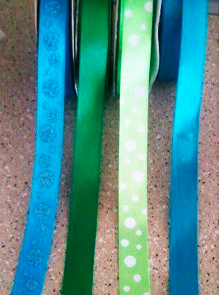 As you can see there are MANY different ribbon choices. 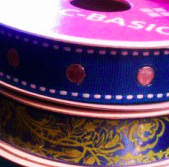 When choosing your ribbon please be specific as to which ribbon you would like. See below for descriptions of each. Left to right: Turquoise embellished, sheer turquoise, hot pink. Left to Right : Tan polka dot, brown, yellow, purple, blue, pink polka dot, green polka dot, royal blue. KEYCHAIN ONLY: Glitter white and black cheetah, Glitter zebra, Glitter lime green zebra, Pink and black cheetah, Glitter pink zebra.